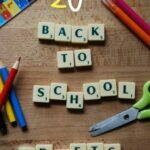 Soooo -are you getting ready to get Back to School? 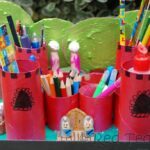 Are you looking for things to keep the kids busy in the final weeks of the Summer holidays? 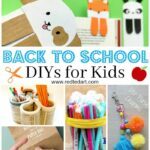 Well, why not combine the two and get crafty in the holidays AND get ready for back to school?! 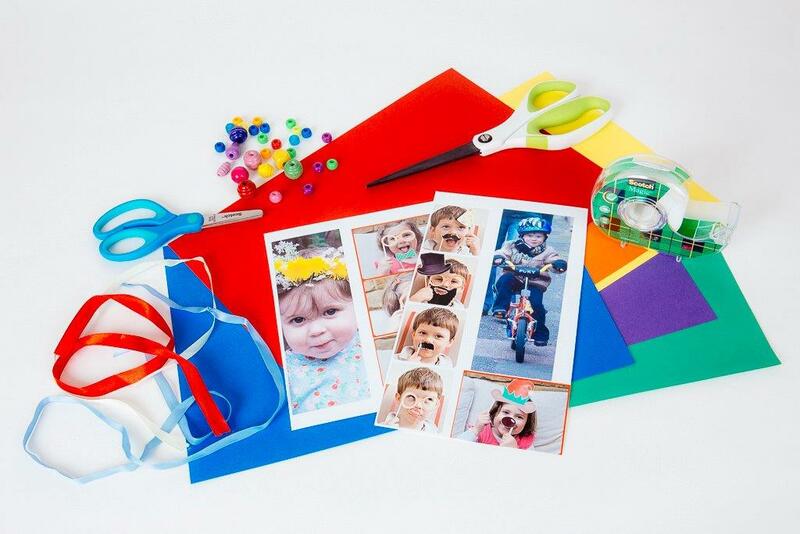 3M Scotch challenged me to get ready with the help of their fabulous Scotch Magic Tape. 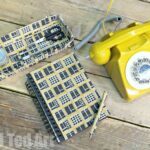 Magic Tape has some unique properties compared to other tapes – it is instantly repositionable – so you can move it into the exact spot you need it whilst creating your work, it doesn’t turn yellow or get brittle over time (one of the biggest issues I find with other tapes) AND you can write on it – with biros or even pencils. 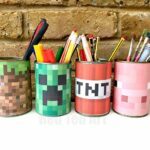 Which give us LOTS of crafting opportunities and other handy bits and pieces for back to school. I would like to share some of these here. 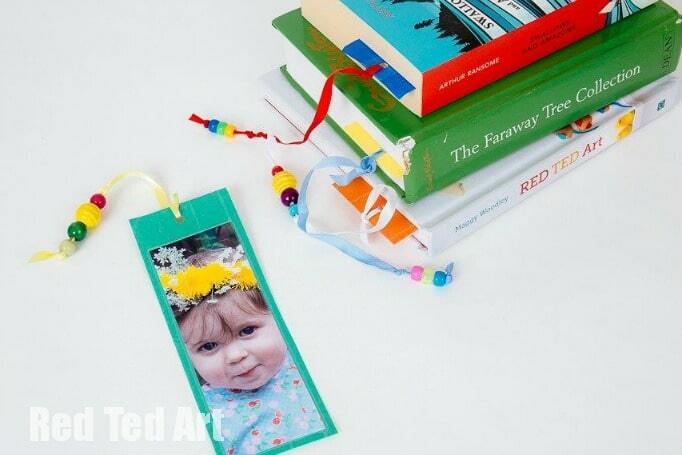 First up, we have these darling little Personalised Bookmarks. 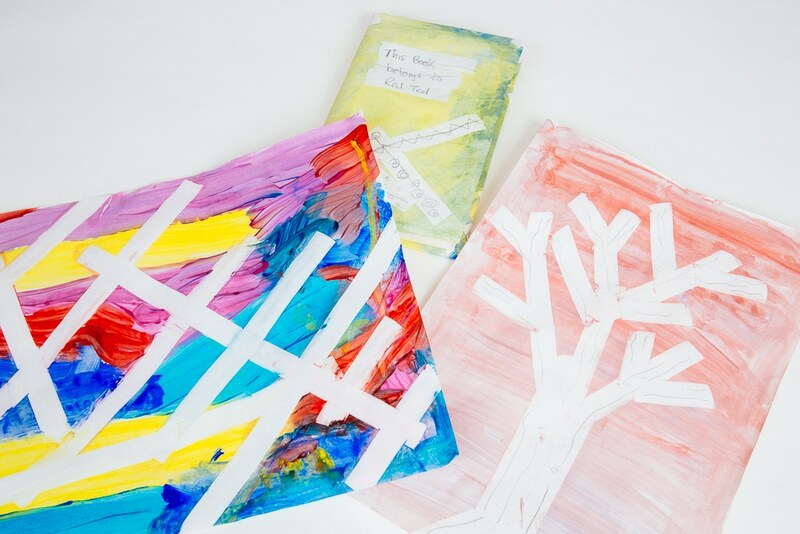 The kids are really into using their bookmarks at the moment and I thought it would be great to make some, using their favourite photos – we then use the back of the book mark to track their reading progress. Personalised and a “keepsake” in one. 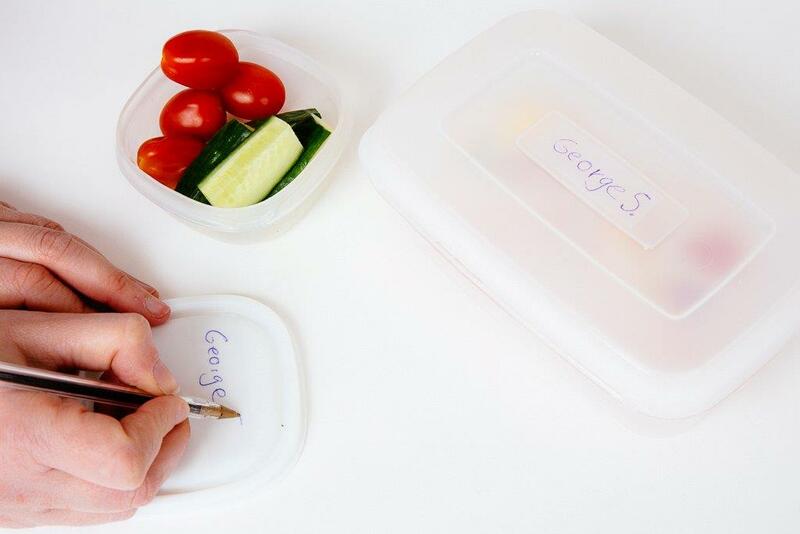 By using Magic Tape, you have the “laminated effect”, without the need of a laminator AND you have the added bonus of being able to write on the back with an ordinary pen. 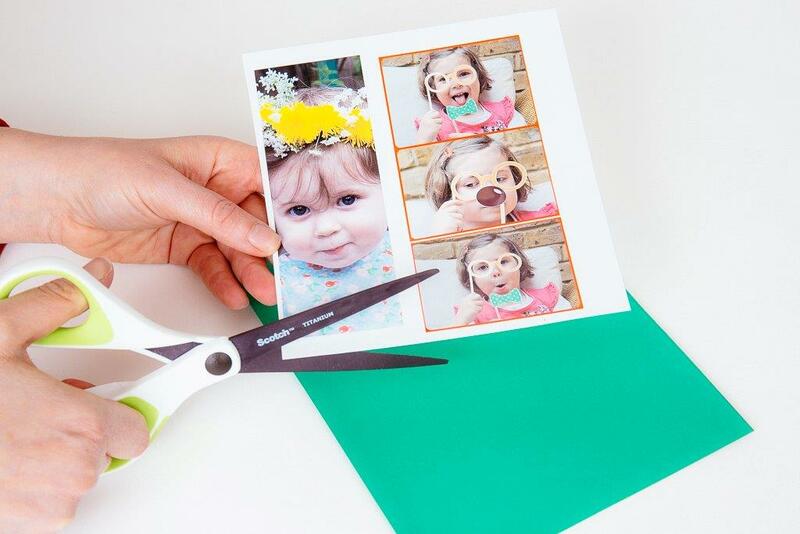 1) Cut your photo to size and place it on your card. Then cut the card to size too. We like to leave a bigger gap at the top of the book mark, to allow for your tassle to be attached. 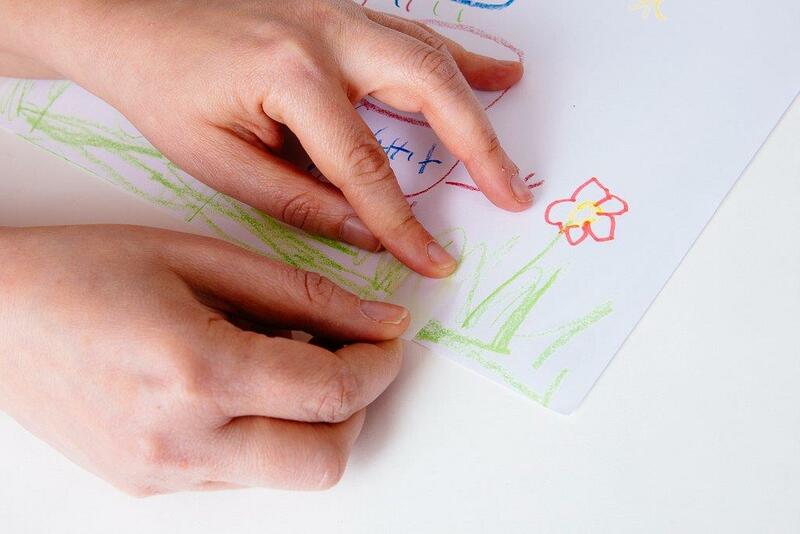 2) Carefully layer your Magic Tape over both sides of the bookmark, including the photo and the back. This “seals” the book-mark and strengthens it agains wear and tear. 3) Make a hole for your tassle with a hole punch. 4) Put some beads on your ribbon and tie on! Done! 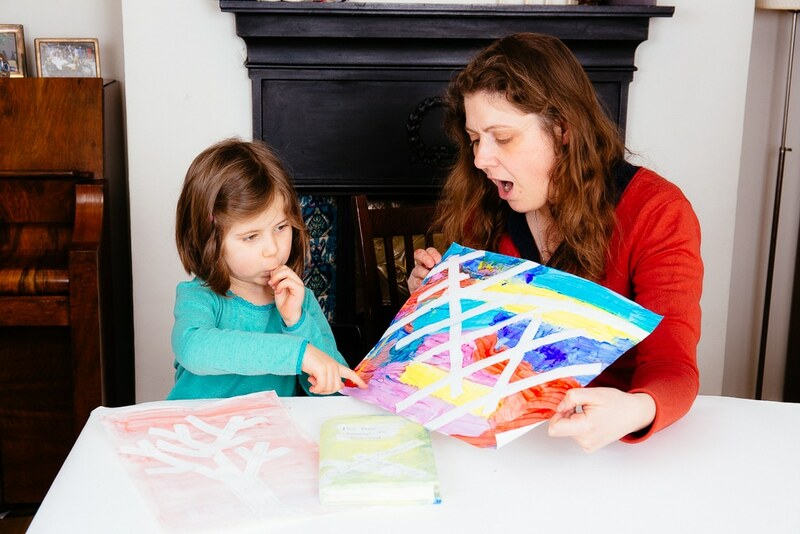 Resist art with Magic Tape is great fun – as you can add lots of details to your artwork afterwards – you can doodle on the Magic Tape with a pen or a pencil or turn your artwork into great book covers with your child’s name and details! 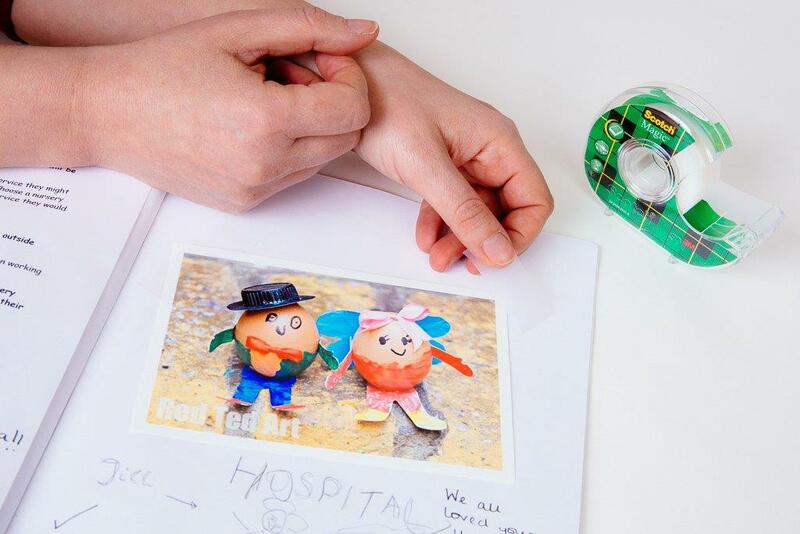 Add strips of Scotch Magic Tape to your paper – it can be a random pattern or you can create a picture like our tree. Have fun with paint. 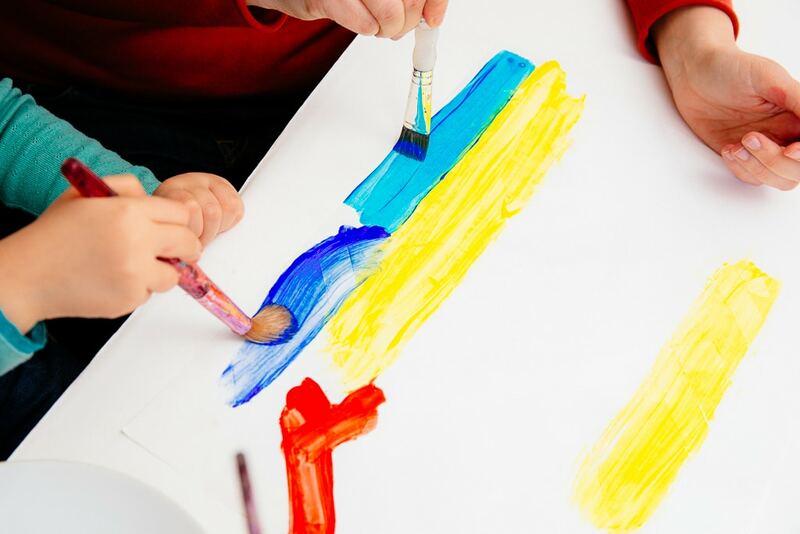 Once your whole page is painted, leave it to dry FULLY. 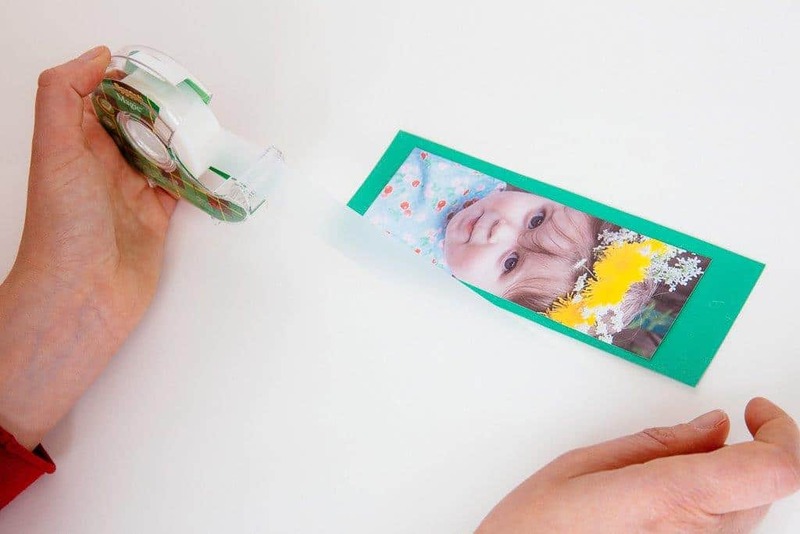 Use your damp cloth to wipe your Magic Tape strips clean! Either enjoy your artwork as it is! Hang it on a wall! 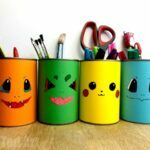 Use it to decorate books! 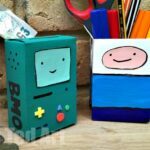 Or add detail with a pen or pencil! 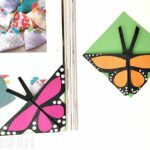 This is a super simple craft that you can make quickly using old scraps of wrapping paper and Sotch Magic Tape. 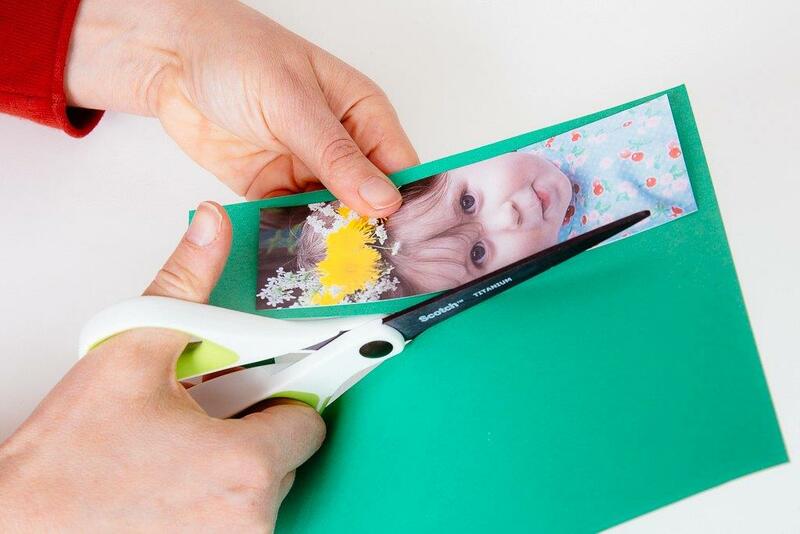 Simply cut a piece of paper to size. 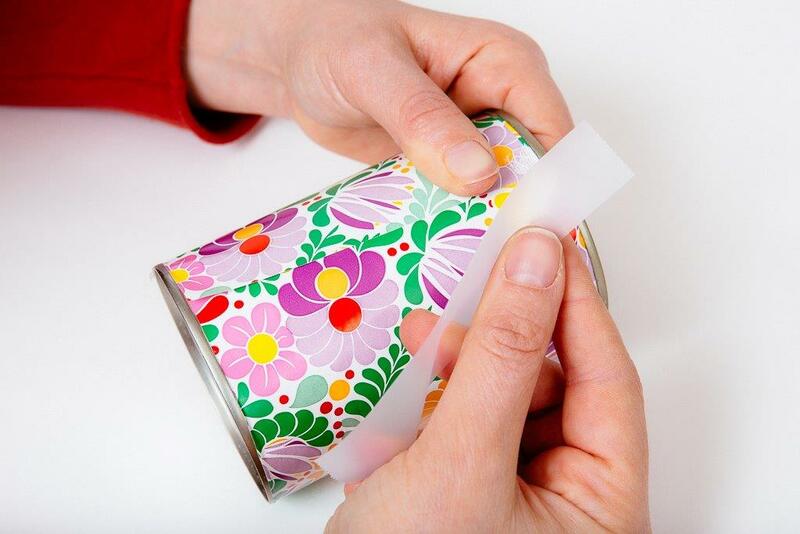 Tape down onto your tin. 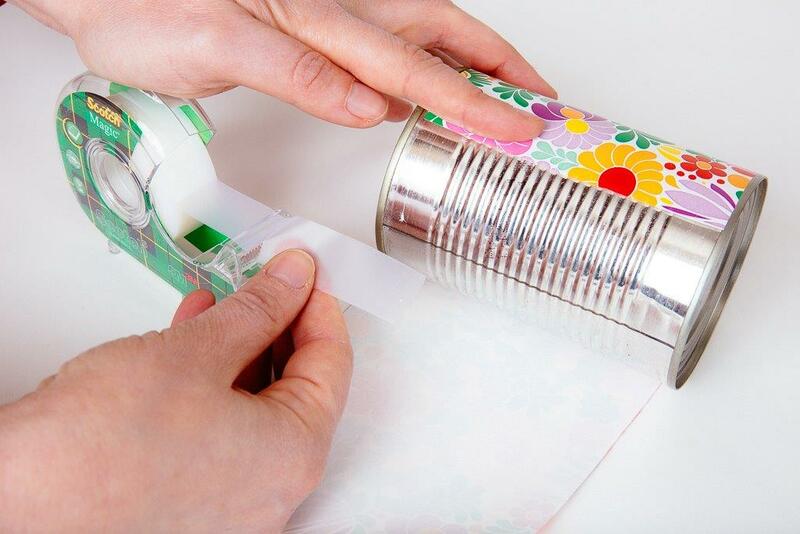 Wrap the paper round the tin, trim and secure with more Magic Tape. The great thing is, that you cannot see the Magic Tape on matte paper and that it won’t go yellow or brittle over time! 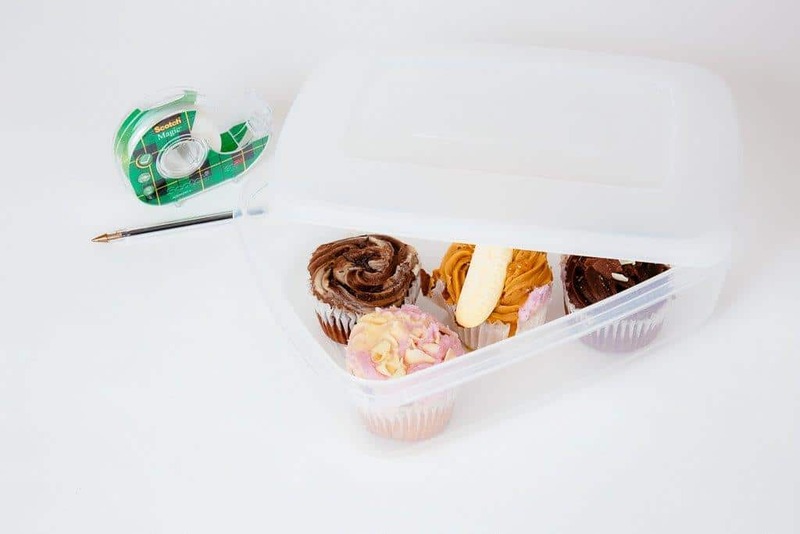 We also like to label our storage containers for School Bake Sales or lunchbox labelling using Scotch Magic Tape – mainly because you can easily write on it and remove it again! 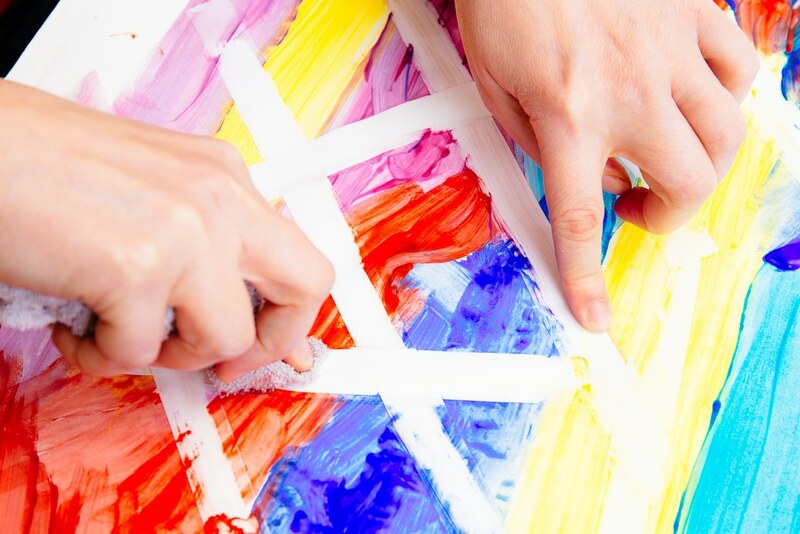 Scotch Magic Tape is also great for fixing a book cover or a cherished piece of artwork that has a tear in it. 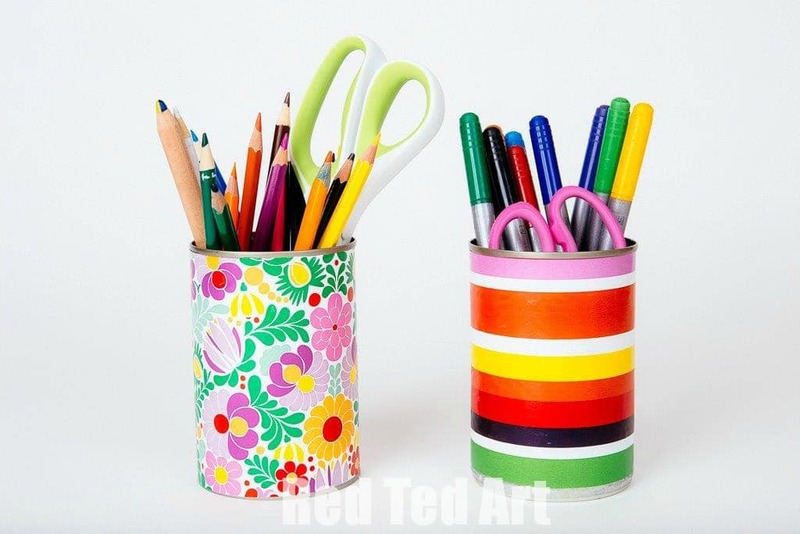 Or if you are adding bits and pieces to your homework book, Magic Tape will hold things in place neatly, will look good and won’t go yellow over time. 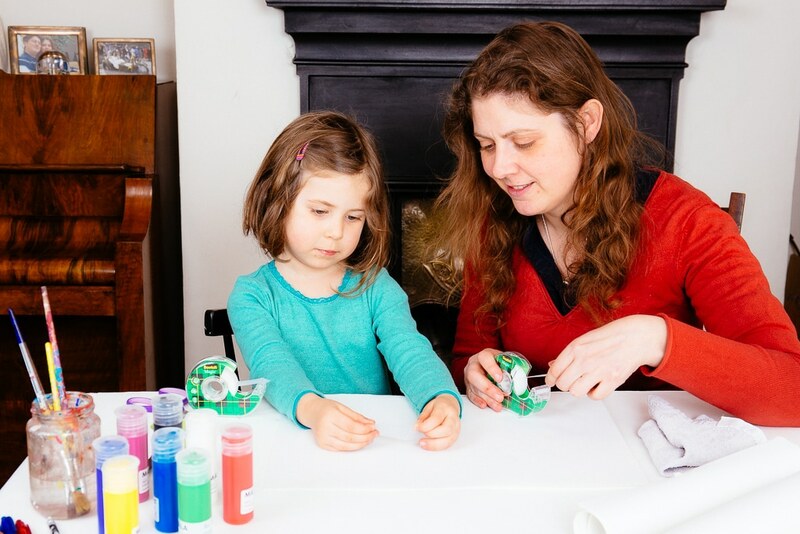 Do let us know YOUR ideas for using Magic Tape! !